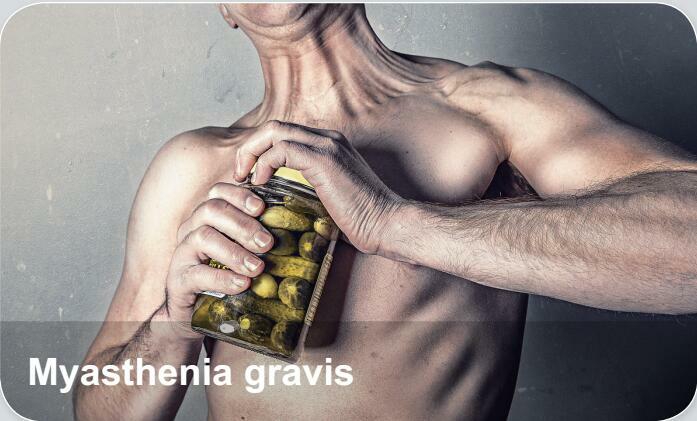 Myasthenia gravis (MG) is a long term neuromuscular disease that leads to varying degrees of muscle weakness. The most commonly affected muscles are those of the eyes, face, and swallowing. It can result in double vision, drooping eyelids, trouble talking, and trouble walking. MG is an autoimmune disease which results from antibodies that block acetylcholine receptors at the junction between the nerve and muscle.